Well there’s hardly anything in flower at the moment, but I did find a small plant growing in the nearby Dare Valley Country Park visitor centre, near the car park. I know its a member of the Brassicaceae with its small petals(4) and sepals(4) and purple stamens(6) with single stigma. Unlike the Arabidopsis thaliana and Cardamine flexuosa however this has short seed capsules that are round to elliptical. 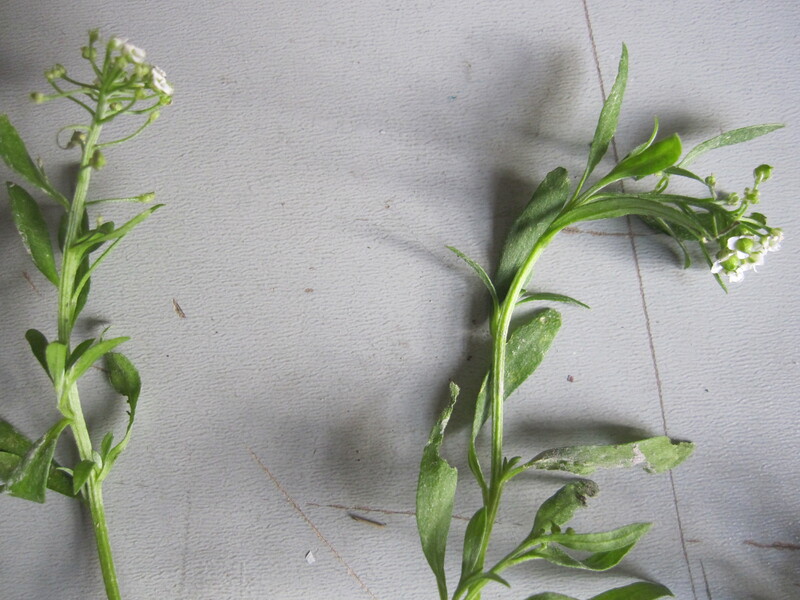 The main stems do not arise from a basal rosette and there are long unlobed leaves all the way up. 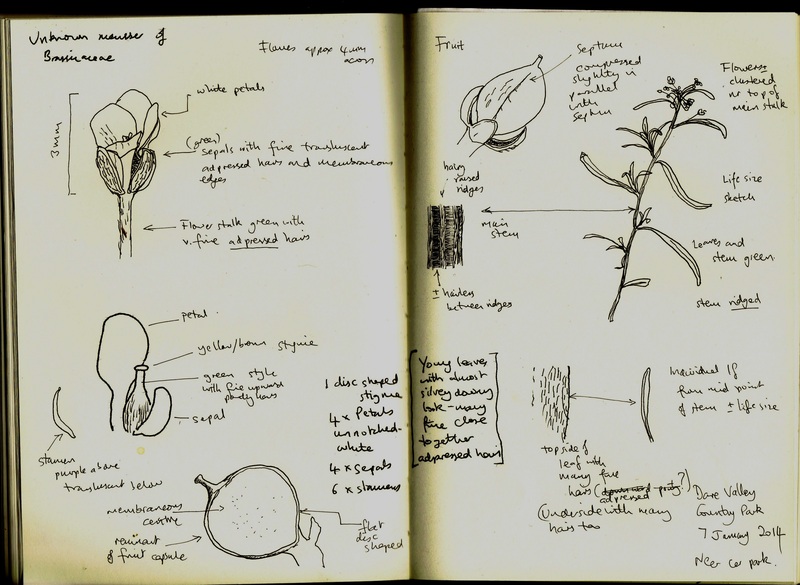 The advantage of sketching the plant first before trying to identify it is that drawing forces you to look closely at the main features and makes it easier to trawl through the keys. In effect you don’t have to keep on looking back at the plant every time you answer a question in the key. Now with this particular specimen it took me a few goes but the Francis Rose key came out top, mainly because of the excellent summary of the diagnostic features of the family at the start of the section, along with an easy to read table of ID tips which has a very clear diagram of what to look for. I came to the conclusion it is most likely to be Sweet Alison Lobularia maritima. The colour illustration was less useful however probably because this plant is flowering well out of season. Stace does however include the species and I found the illustration of Brassicaceae fruits very useful. I’m afraid I chickened out of the key! So chances are it has probably escaped from a summer bedding scheme but it would be interesting to see if their are any more in the area next year.